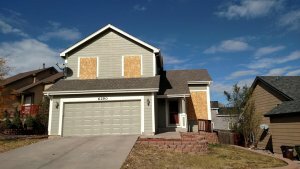 I’m thinking of selling my house for cash in colorado springs but where do I start? Thats a common question we here at Fast Home Options get.We pay cash for houses in Colorado Springs and Fountain and can give you an offer in 1-2 hours, but if you decide to try and sell your own home here are some tips to do so. 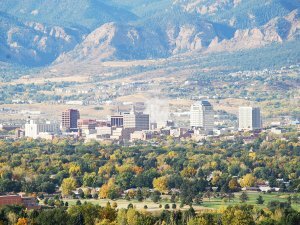 After reading this article you will think Selling my house for cash in Colorado Springs is super easy now! If you are selling a property a to a potential buyer who will be living in the home, chances are good that that particular person will not be paying cash. Does it happen sometimes? Sure. But is it likely? Not at all. When selling to an investor they (usually) wont have any lengthy inspection periods, appraisals or anything that the “standard” house buying purchase comes with. Most of the real estate transactions close with a bank loan( and they will be living in the home), most buyers really don’t have the funds to purchase any other way. Even though you think all “real estate investors” are sitting on a big chunk of cash, you would be surprised at the amount of investors that don’t close on their own transactions with cash. Even when investors do have the money most investors tend to spread themselves too thin. At Fast Home Options we don’t spread ourselves too thin, because our primary goal is to build stable communities around Colorado Springs And Fountain. We have a stable reserve of cash to be able to purchase mostly anything that comes our way. If Selling my house for cash in Colorado Springs is what you are thinking there are many benefits of doing so. Fast closing. Most cash buyers are able to purchase houses in as little as 7 days. No closing costs, or no realtor fees. You don’t have to deal with the hassles of listing your property with a realtor. Having people come in and out of your house picking apart every single imperfection in your house. Or dealing with inspectors writing full on novels about the imperfections of your house. We here at Fast Home Options will give you a FAIR CASH OFFER and there will be no lengthy inspection periods or appraisals. Just a fair cash offer. You don’t have to list your house with a real estate broker or agent and pay huge commissions or have to split those expensive title insurance and closing costs. All in all it ends up costing around 8-10% of the purchase price in some transactions when you list your house for sale with a realtor. When we give you an offer there are no realtor commissions, no closing costs and no title insurance. We shouldn’t really say that there are “no” costs but there are no costs as far as your involved. We cover all costs associated with our offer to you. You don’t have to deal with a lot of people that just want to “kick the tires”. Meaning they do not really have any intention of buying the house but they want to take a look at it. I Or they have all the intention in the world of buying it but they cannot qualify. When we come out to look at your house we will do a quick 5 min walk thru, analyze any repairs that are needed and we have a cash offer to you within 1-2 hours. This is our business and we surely do not want to waste our time or yours. You don’t need to paint, make major or minor repairs or heck even clean up for us. You will not have to waste any of your hard earned money on u-hauls, or dealing with contractors in regards to fixing up your house. When we make an offer we are offering on an AS IS basis. Please take anything and everything that you would like to take with you, but if you dont want or need it feel free to leave it behind. We will take care of the clean up. You don’t need to deal with any of the paperwork. From start to finish we have got you covered. With close with a local-reputable title company (usually Land Title Company). We have a simple 2 page purchase contract that outlines purchase price, us covering all closing costs, closing date (which you choose), and the fact that we are purchasing your house AS IS. Always make certain that the cash buyer you use is in fact a reputable one. We here at Fast Home Options can offer you great references of past house sellers that we have successfully helped, we can show you some of the latest projects we have worked on, and we would all be happy to answer any questions you have so that you are comfortable 100% of the time throughout the whole process. We take great pride in being a strong part of the Colorado Springs and Fountain communities. Our mission locally is to always help Colorado Springs,Co home owners. We want you and every other house seller to eventually say Selling my house for cash in Colorado Springs was super easy, only because I contacted Fast Home Options. If you’re wondering about selling your house for cash in Colorado Springs And Fountain or just need to sell a property near Colorado Springs And Fountain, we can help you.